9 am - 8 pm, daily. Bethel's most unique Grocer and Caterer offers locally-grown organic veggies, bulk herbs and spices, gourmet cheeses, sweets, natural and gluten-free foods, Asian and gourmet specialty foods, supplements, cosmetics, gifts and Maine made specialties as well as an awesome wine & craft beer selection among many other products. 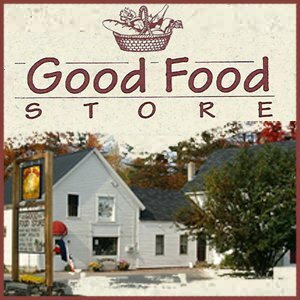 The Good Food Store kitchen opens at 11:30 am daily for take-out specialty sandwiches, salads, seasonal soups and daily specials. Grab one of Heather's righteous cookies & a hot coffee/tea, or shop the variety of house-made prepared foods that are fresh and ready to eat now, or ready for you to heat and eat at home later. Order pick-up, delivery or full service catering (we do make regular cakes, but not wedding cakes). Weddings, rehearsal dinners, family gatherings, ski groups, parties, retreats, and special events from 10 people to 300+ are all welcome. Lobster Bakes, themed menus, appetizers, entrees, desserts, platters, Brunch, Lunch, Cocktail parties, Dinners...the GFS kitchen and catering crew do it all! Check out catering menus at www.goodfoodbethel.com. Natural, Local and Organic Foods. Prepared Meals & Heat and Eat Entrees. Click here for more information. Take-Out Specialty Sandwiches, Salads, Seasonal Soups. Click here for menu. Wedding and Rehearsal Dinner Catering. Click here for more information. Catering for Small & Large Groups, Families, Skiers, Retreats. Click here for menus.